Photo: The elementary school children and volunteers of the program were happy to gather in front of their new facility for a recent group photo. We are happy to report that the 60 students enrolled in our Children’s Hope Center after-school care program completed the school year at the end of March after successfully taking their final exams. They prepared for their exams by diligently studying math, English, their native Filipino language, science, social studies, technology, and skill development in grades 1-6, and algebra, geometry, English, the Filipino language, biology, chemistry, physics, social studies, technology, and skill development in junior high. 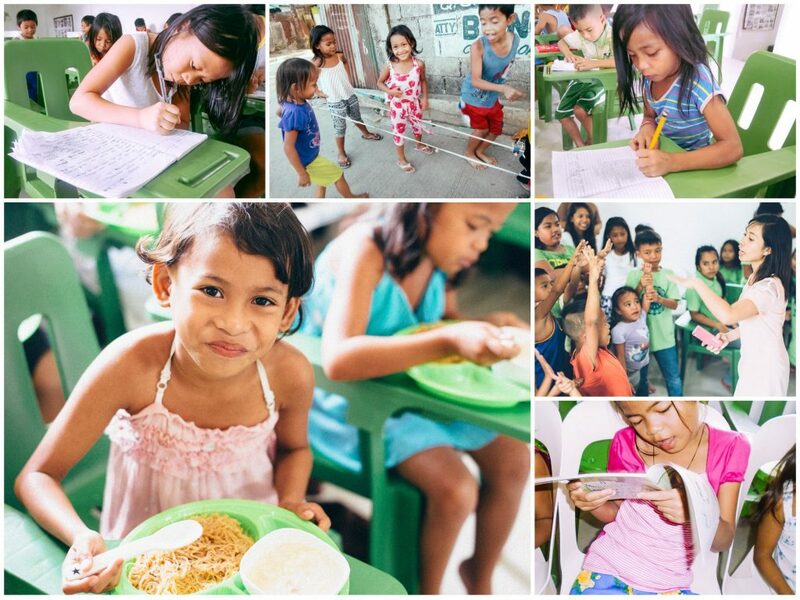 The children also received homework tutoring for these subjects and we provided additional nutrition support for the children by giving them snacks and a fresh-cooked meal during each session — lately they have enjoyed rice with eggs, chicken, pork, or fish and fresh fruit such as bananas. Our loving staff organized a recognition ceremony this week to award students who excelled in the academic subjects of English, the Filipino language, reading, writing, and mathematics as well as public speaking, good behavior, and good attendance. Overall, our children’s scores and abilities improved significantly this semester. In particular, our primary school students greatly improved their reading skills in Filipino and retained some new English vocabulary as well, and our junior high students learned to read faster than the previous school year. Our primary school students also excelled in their writing skills, especially in expressing their written thoughts and feelings in their native Filipino language, while also making some improvement in writing English. Our junior high students also improved in writing as they can now construct their own paragraphs and express their written thoughts and feelings. In addition, several students performed exceptionally well in mathematics. Today we want to share the encouraging story of a child who is enrolled at our Manila Children’s Hope Center, 10-year-old Rosamie*, who is currently in the 5th grade. She first enrolled in our Hope Center program in 2014 when she was 6 years old. She has been a dedicated, determined student in our program, consistently attending all of our tutoring sessions and fun activities for the children. She has made impressive improvements in math, reading, and speaking English — her grades improved each semester for all 4 semesters of the school year. The children are now enjoying their school break before the next semester starts in June. Our director, Malaya, and the teachers and volunteers will be organizing a Sports Festival this summer since the children thoroughly enjoyed the Sports Festival last summer which was centered around the theme of “Empowering and Strengthening Payatas Children and Youth to Achieve Unity as a Team through Sports.” The children will also enjoy playing games with their friends outdoors and others will help their parents with household chores and help to earn the family’s daily income. 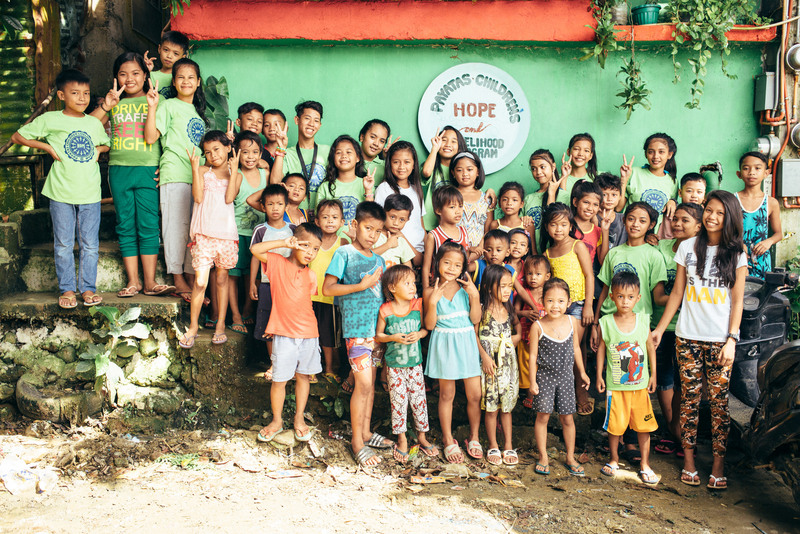 The 60 children currently enrolled in our Hope Center program will continue to receive tutoring from our teachers and volunteers during the summer break, enabling them to begin the next school year in June well-prepared to pursue their education. Furthermore, they will enjoy a Vacation Bible School-style outreach program along with other children of the local community which will run every day until first week of May.